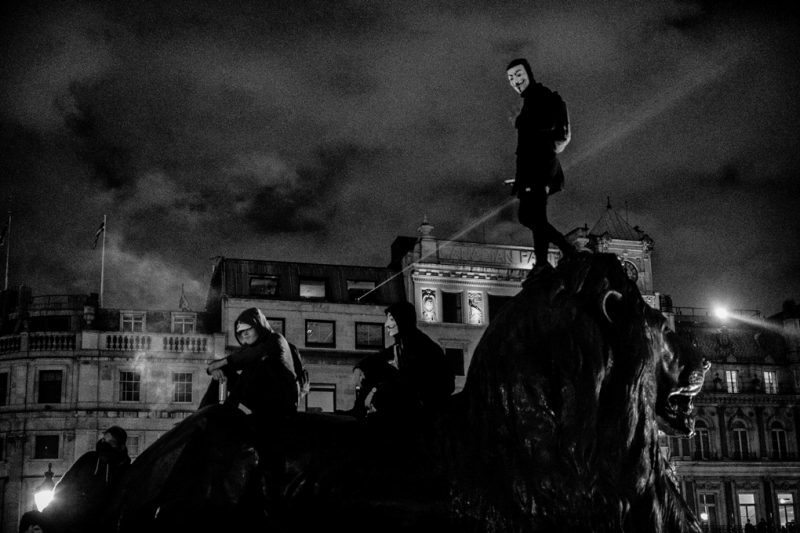 Street portraits – masked demonstrators. 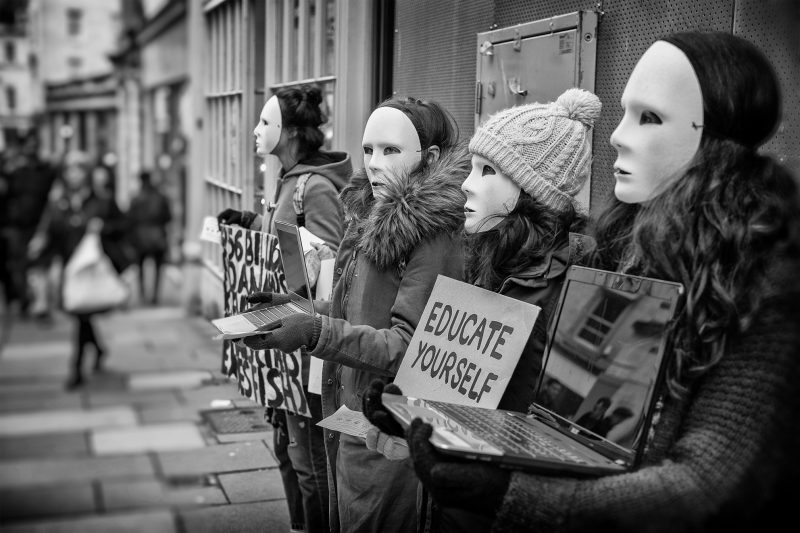 During my Saturday street photography foray on the streets of Bath today I came across a group of masked anonymous animal rights protestors. I love the mysterious and eye catching look of these guys and also the reactions of the passing shoppers.